How do you know which Miami Pavers Brick Paver Installer is the best? We’ve been in this business a long time and we don’t say that to suggest that time in business is a competitive advantage or a reason you should choose do business with us. We bring this up because we’ve seen it all – from buyers’ wants/needs to competitor’s tactics on selling and installing. 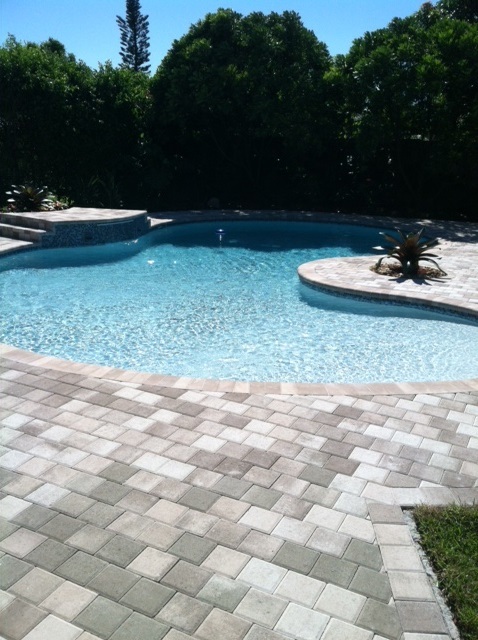 At the end of the day, how do you choose which Miami Pavers brick paver installer is the best? Most prospective clients look at things like – cost of the project, how well they like their salesperson, better business bureau ratings, AngiesList rankings, and sometime referrals. While we have competitive prices, nice owners who sell well, solid ratings and good referrals – so does everyone else. So how do you choose? From our perspective, buyers need to learn how to buy better and that’s what we hope to accomplish from this post – a little buyer education. What does the first day planning process look like? What are the installation techniques you use that nobody else does? In other words, what are your best practices? What happens if there isn’t enough material order to complete the job? How does your crew keep the job site clean at the end of the day? How will weather affect the installation? How do you service us after the job is done? How long will I have to wait for repair work or replacement pavers? Why should I do business with you versus the competition? We hope that by asking these simple, yet often overlooked question to your installer, that you will choose us for your next Miami Pavers installation.